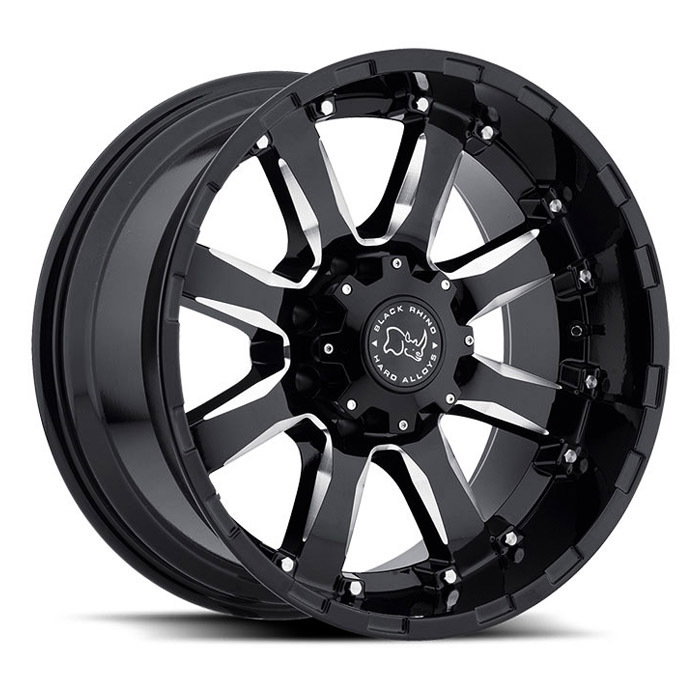 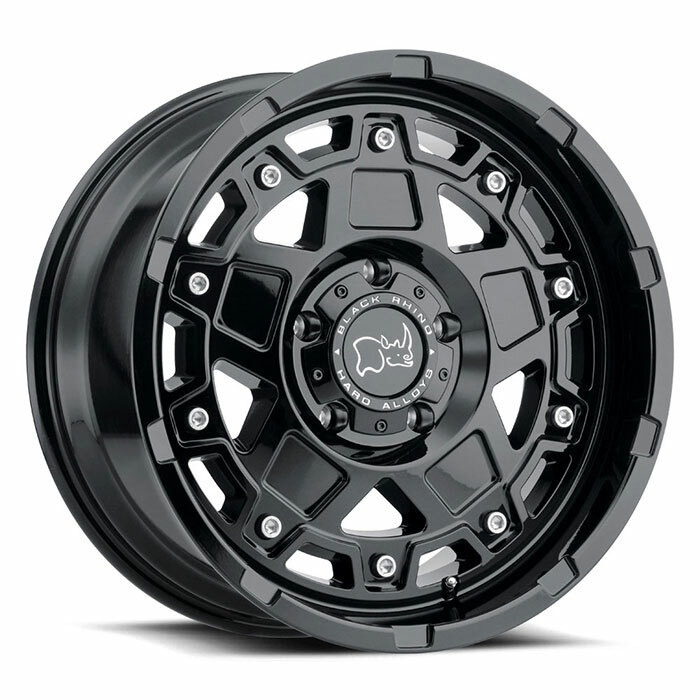 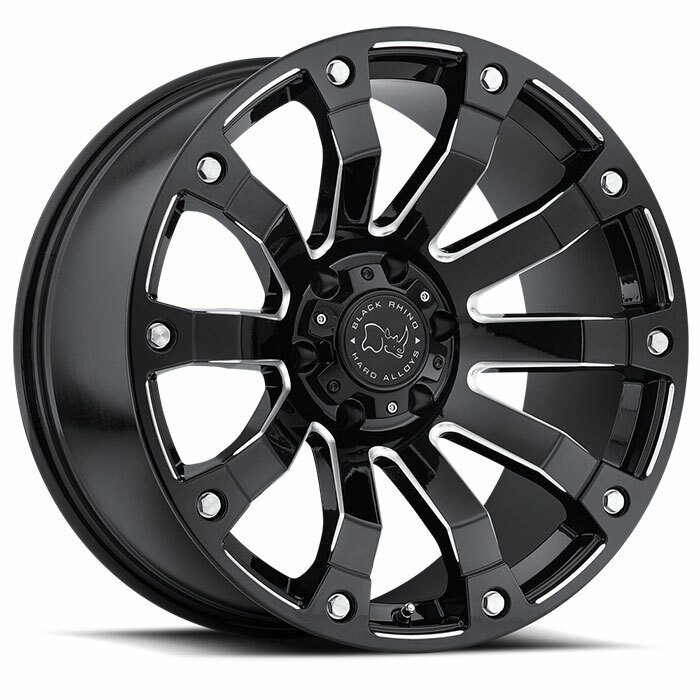 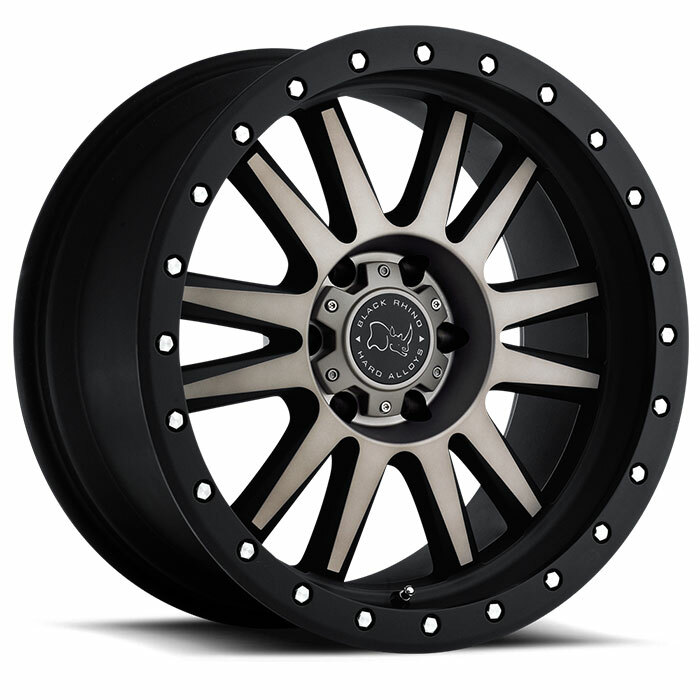 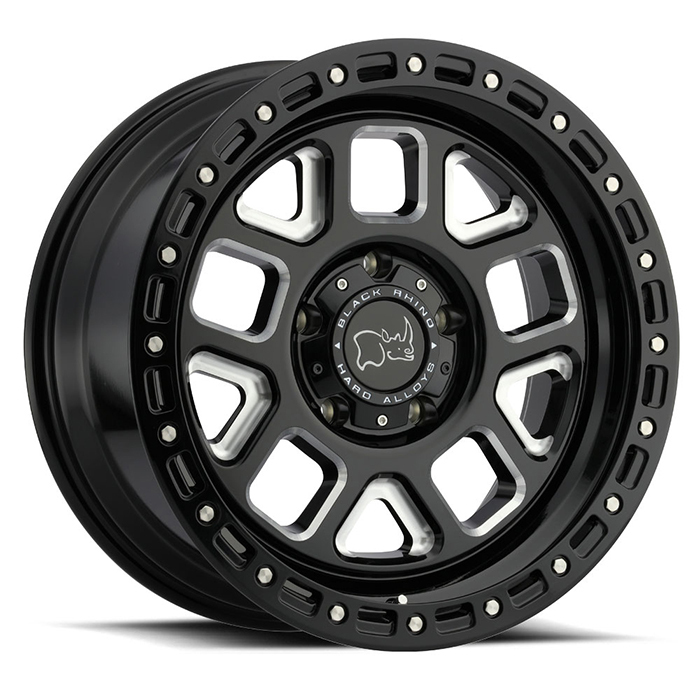 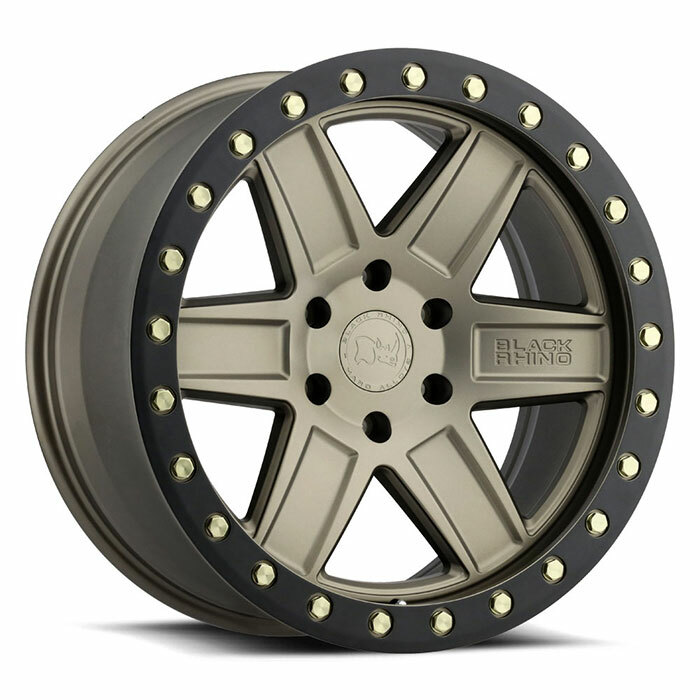 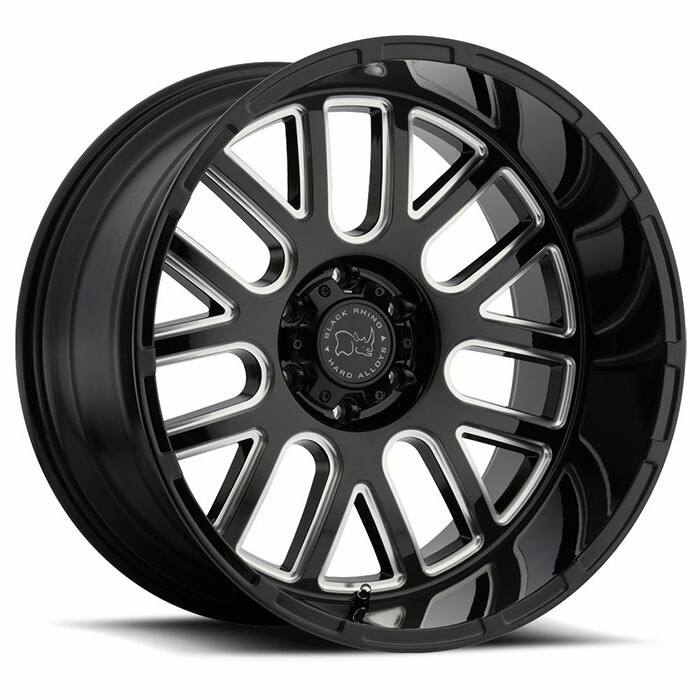 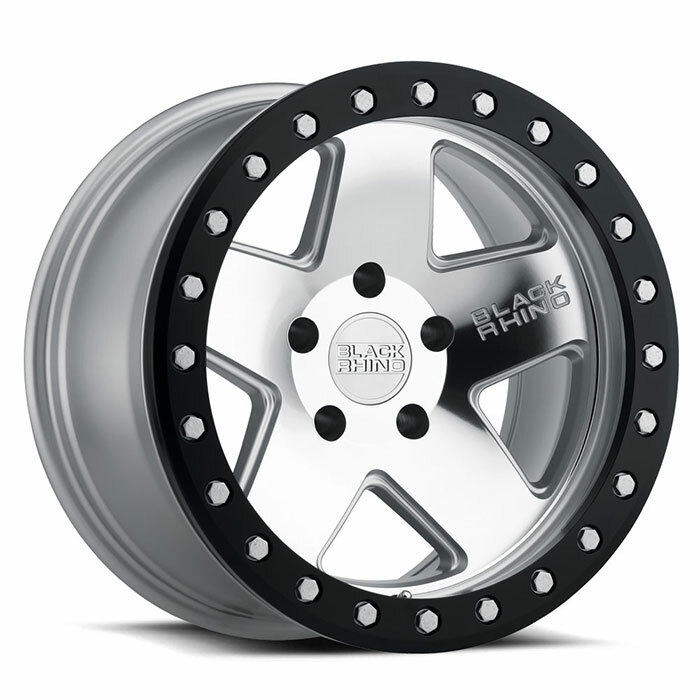 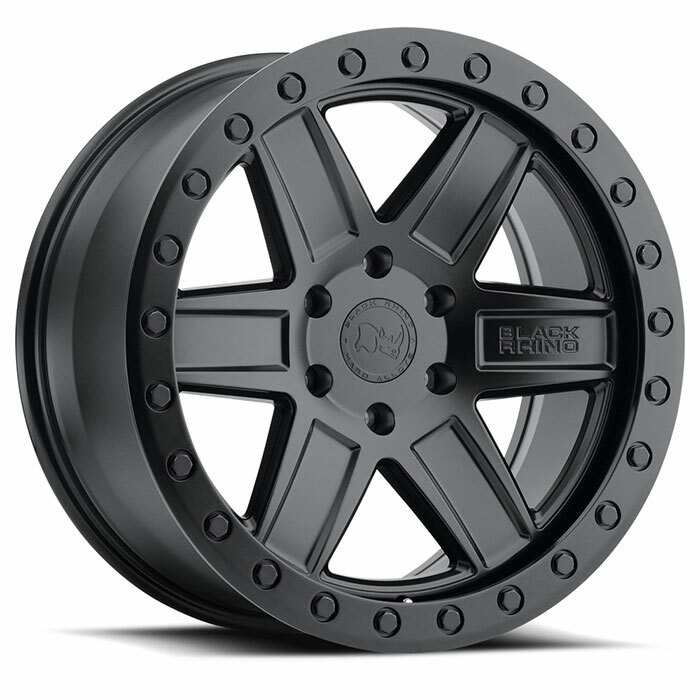 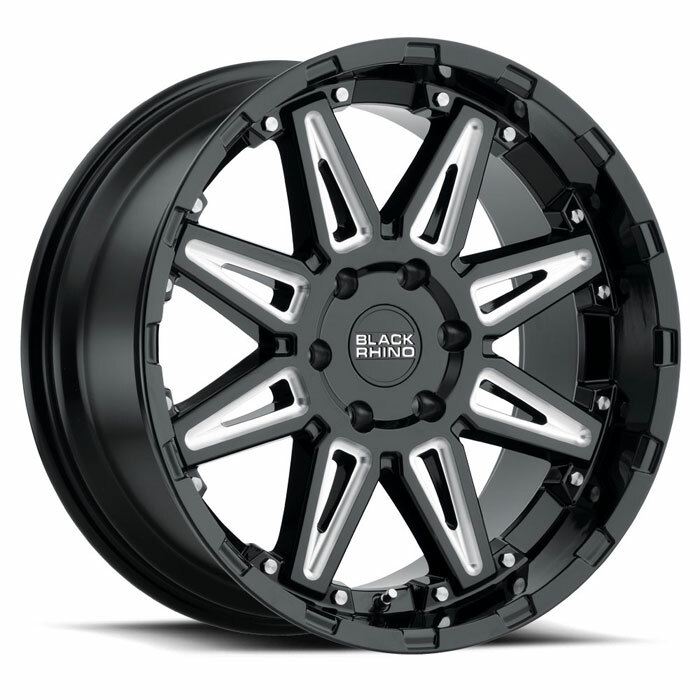 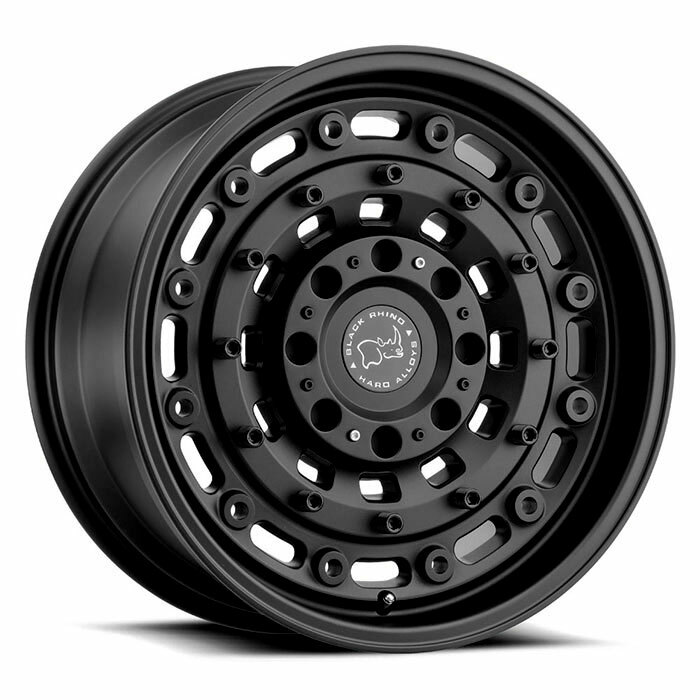 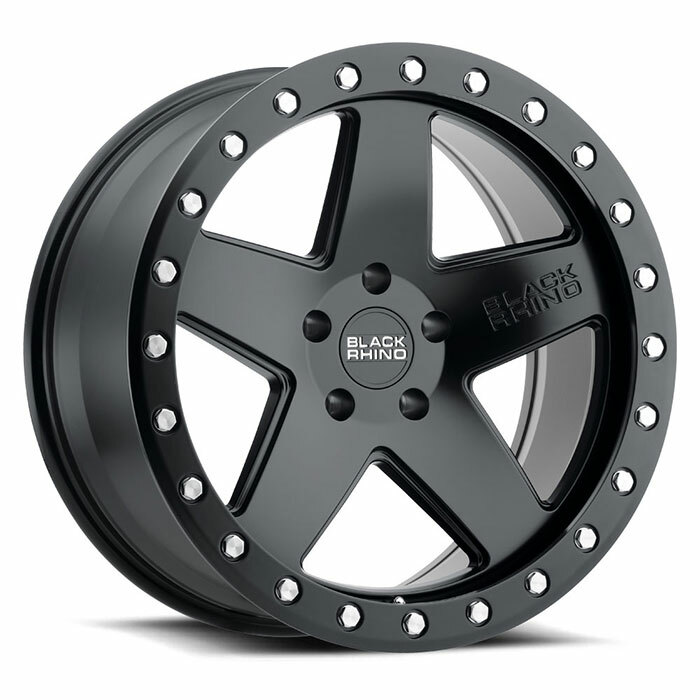 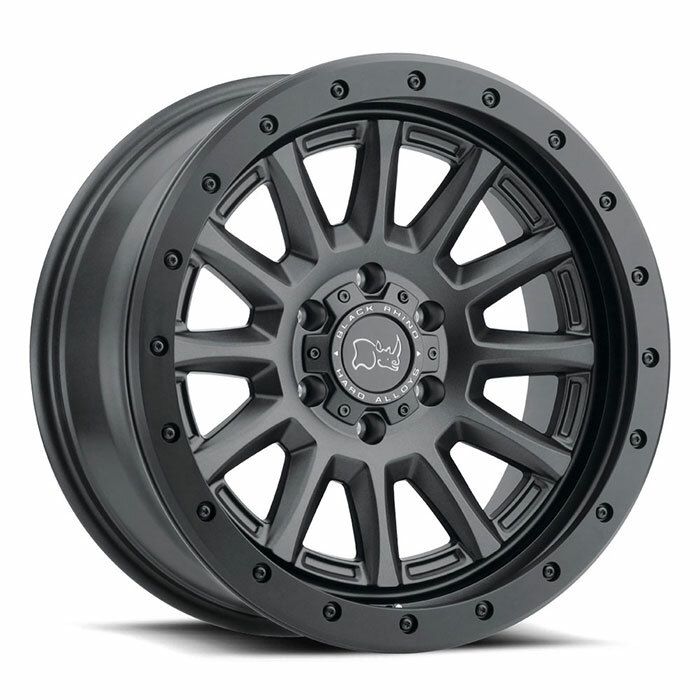 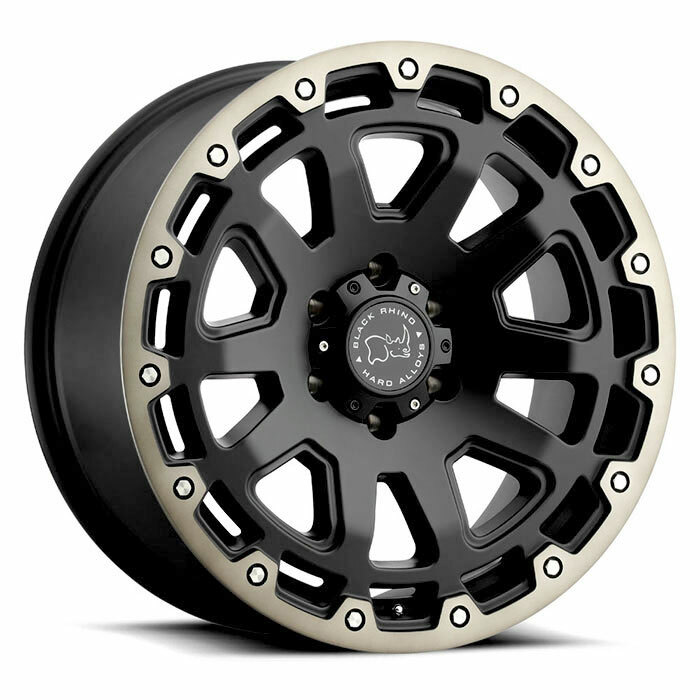 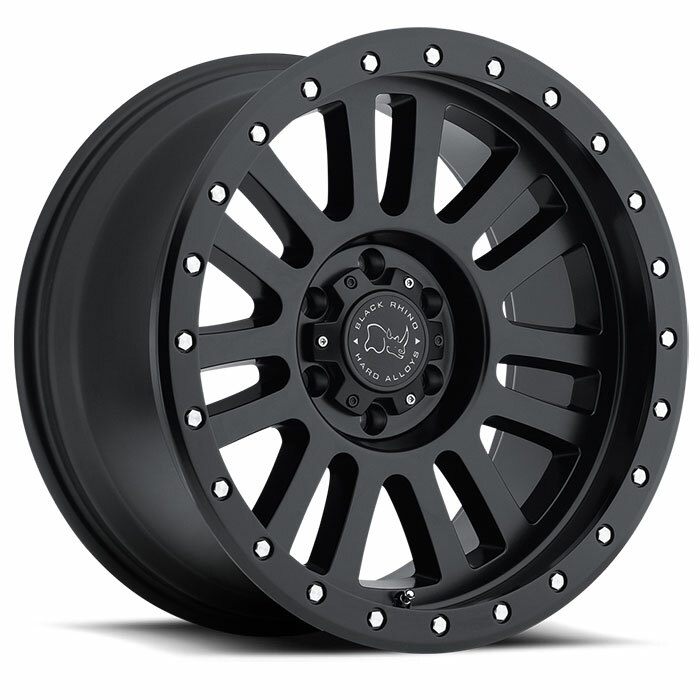 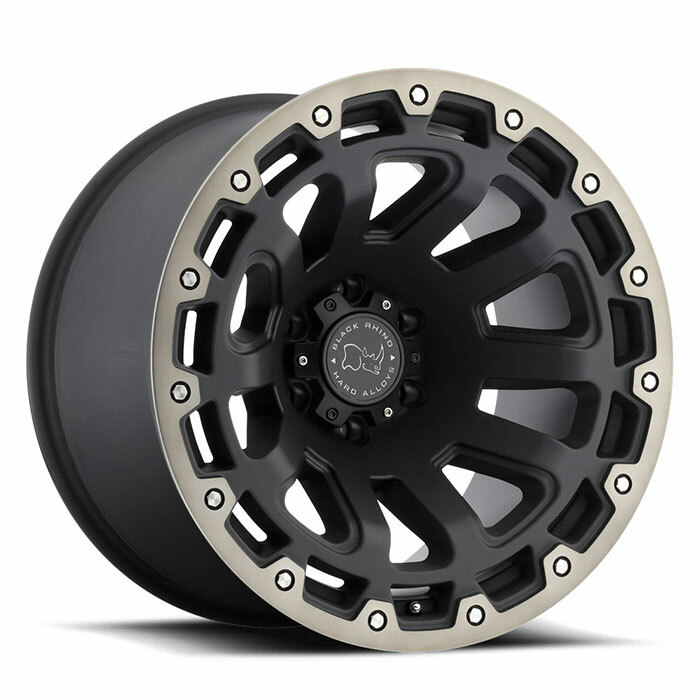 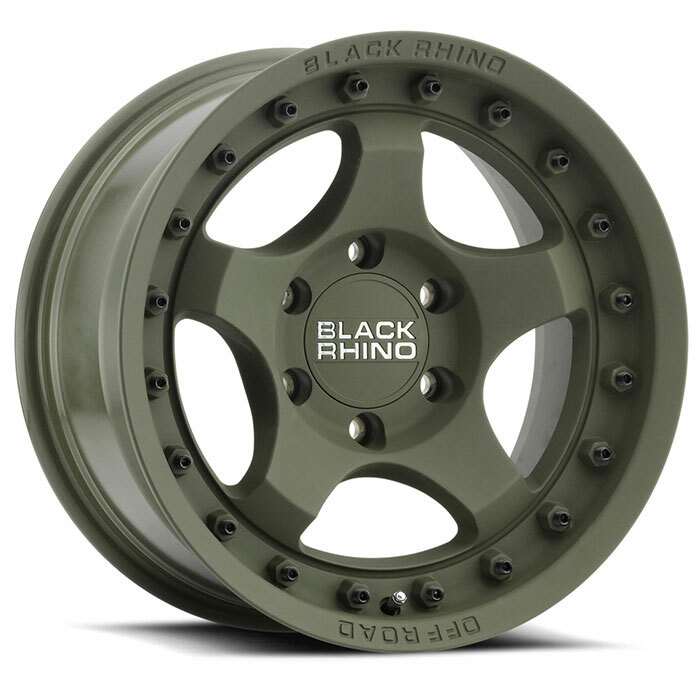 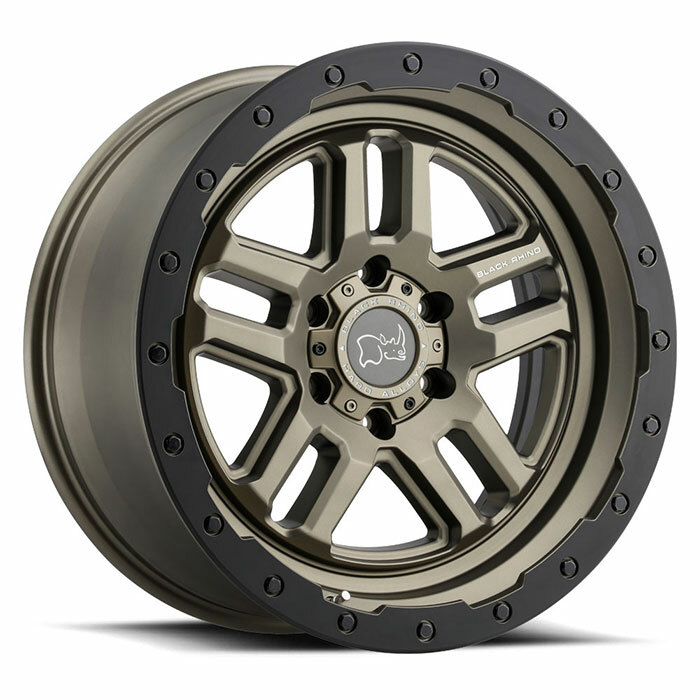 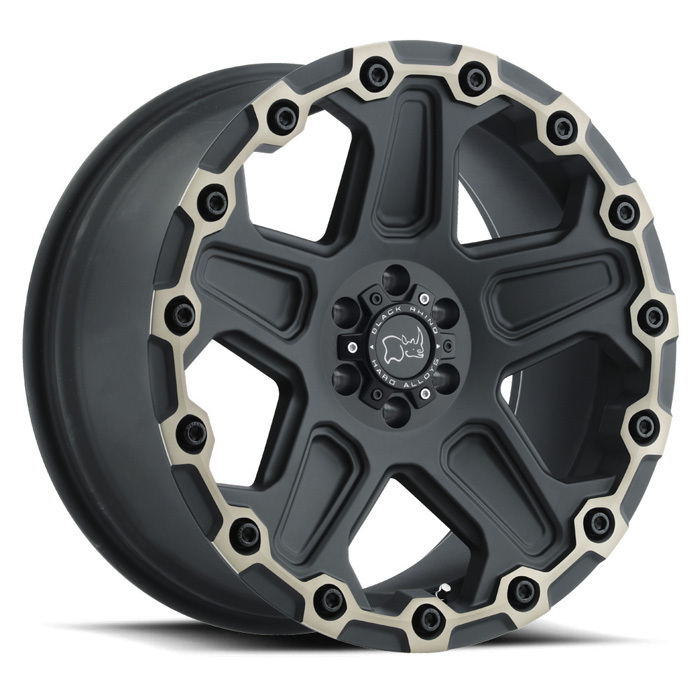 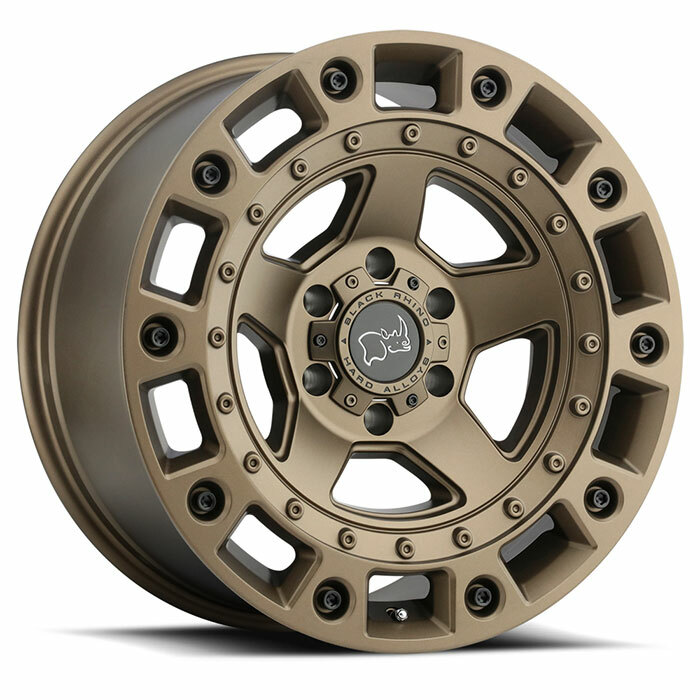 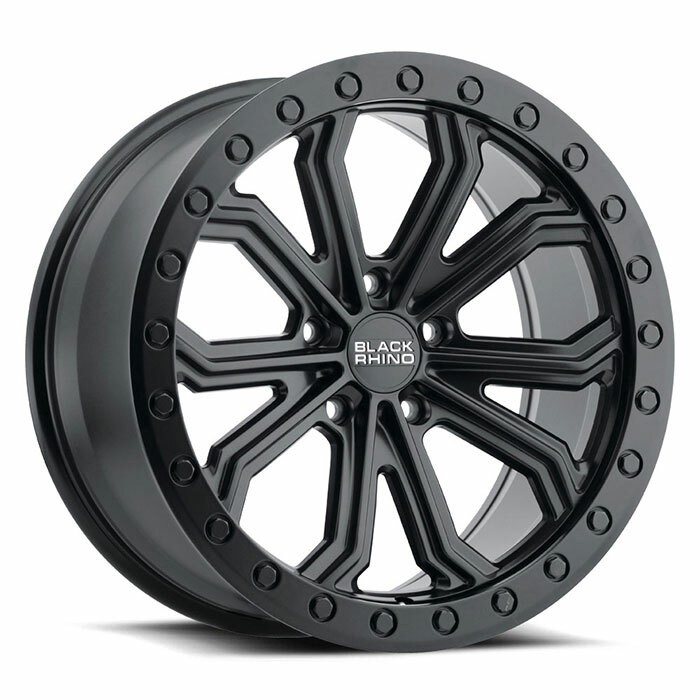 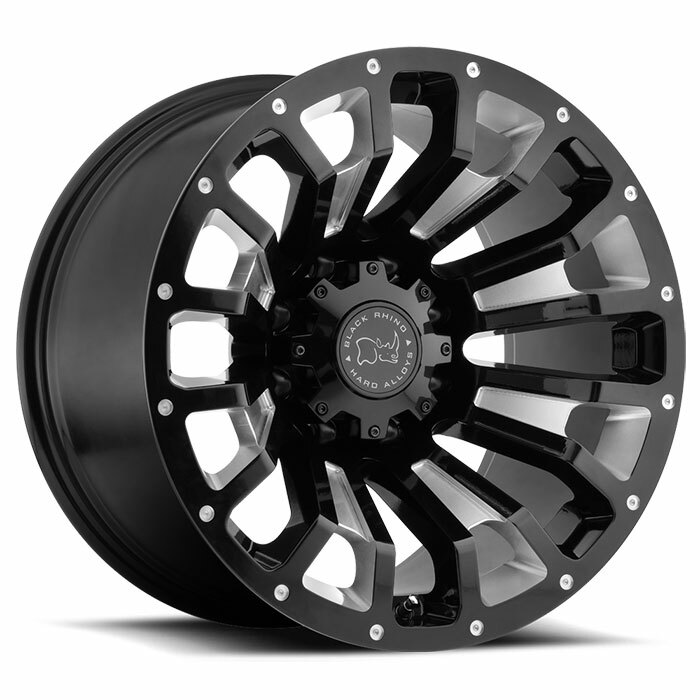 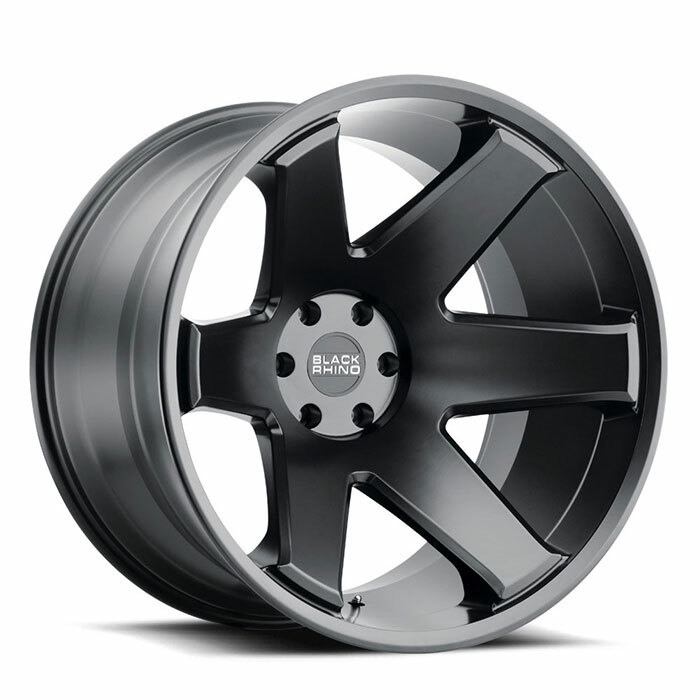 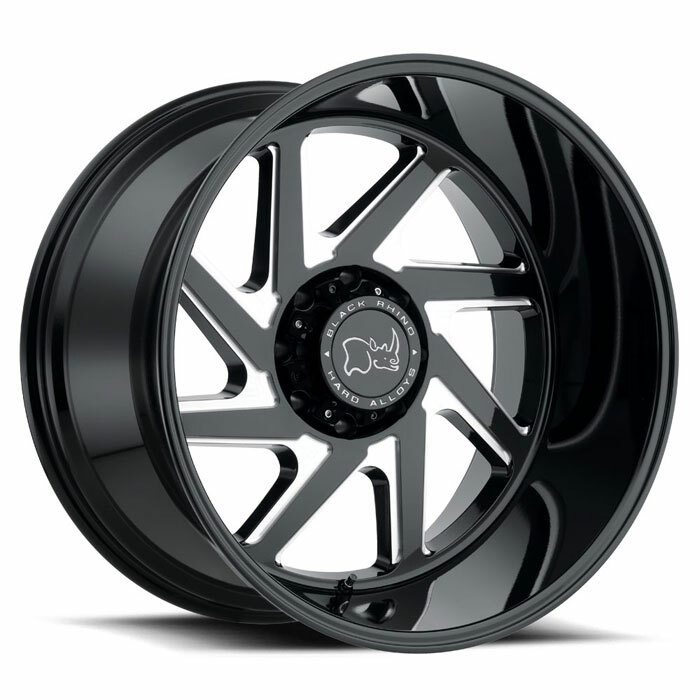 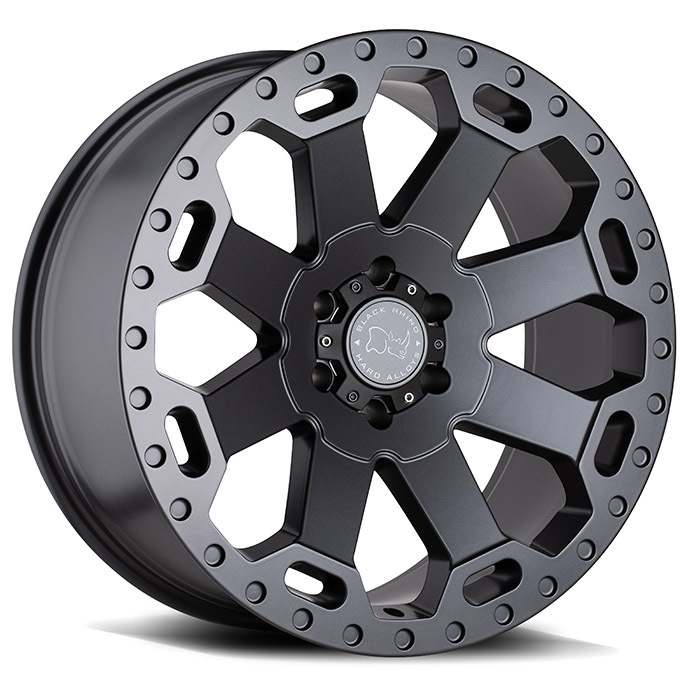 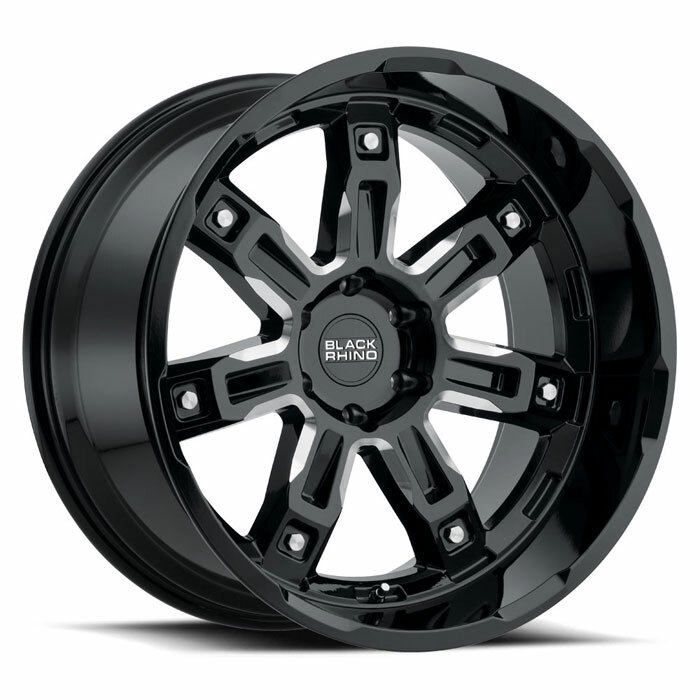 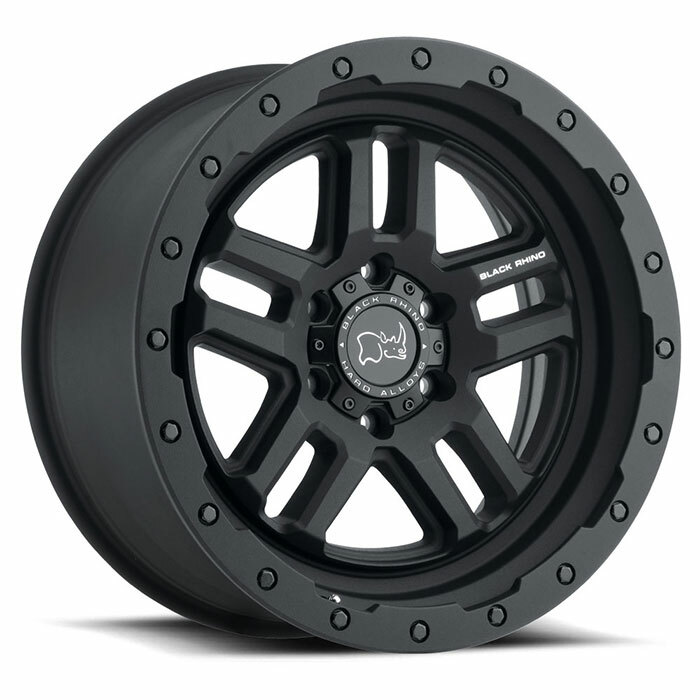 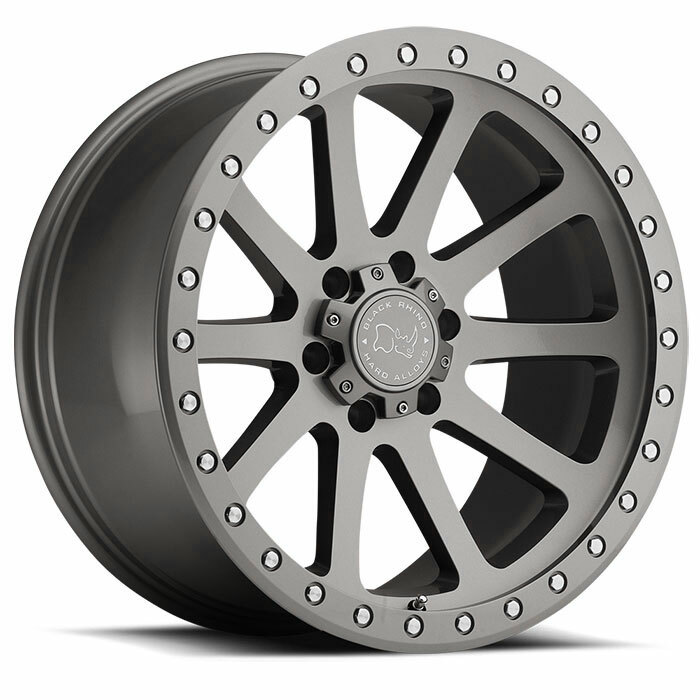 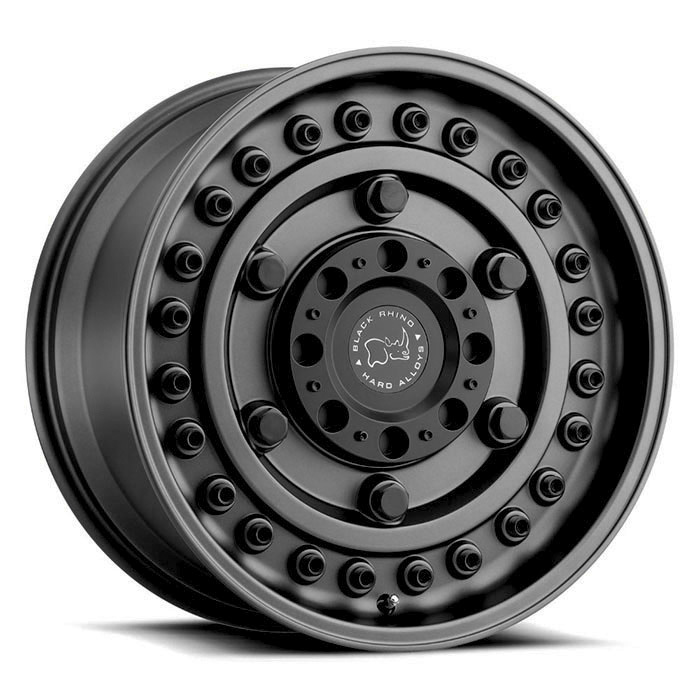 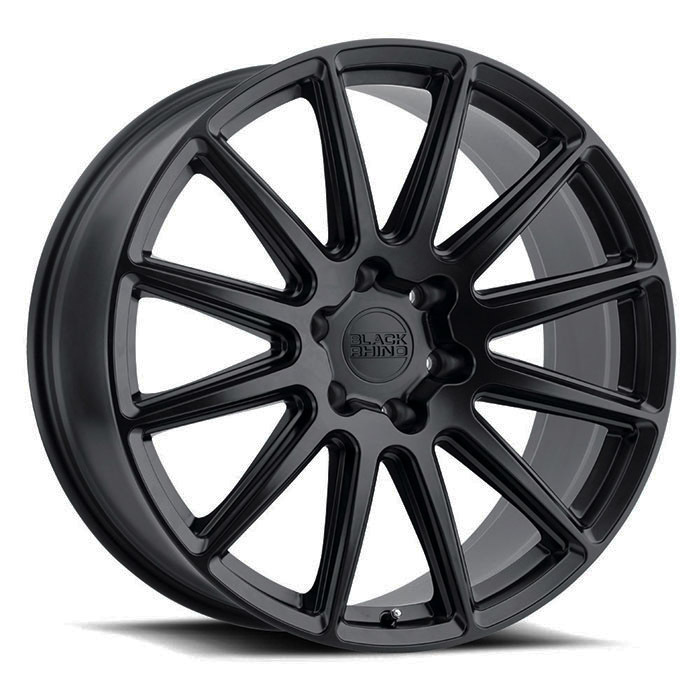 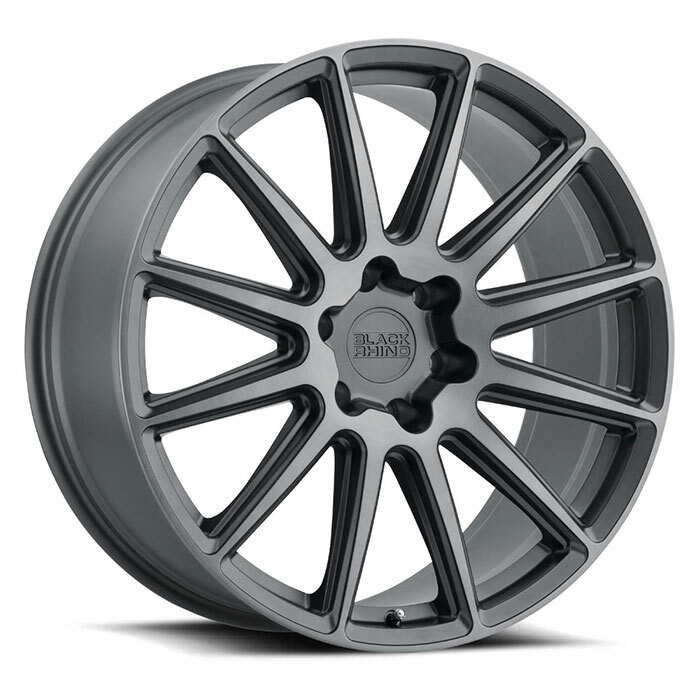 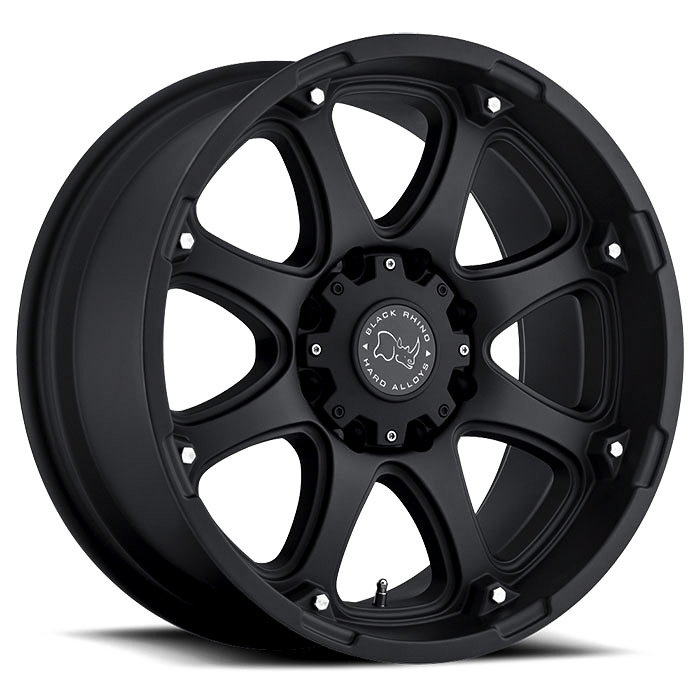 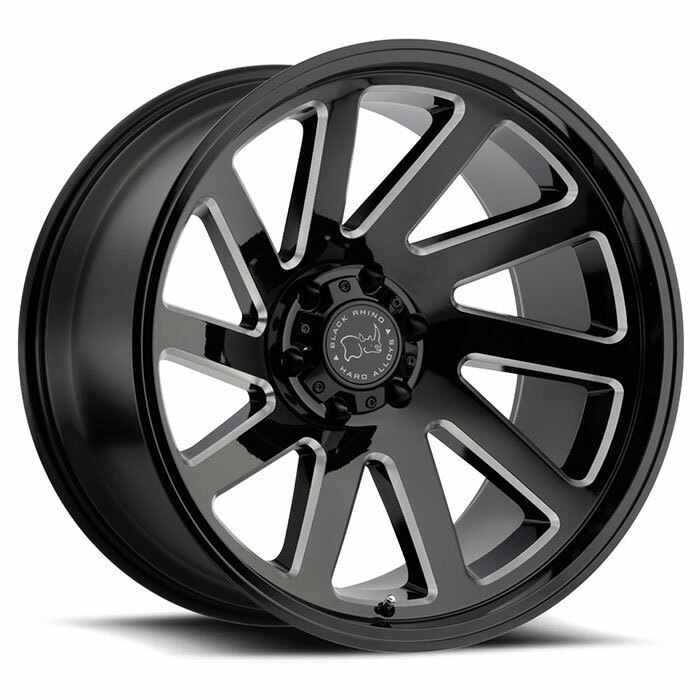 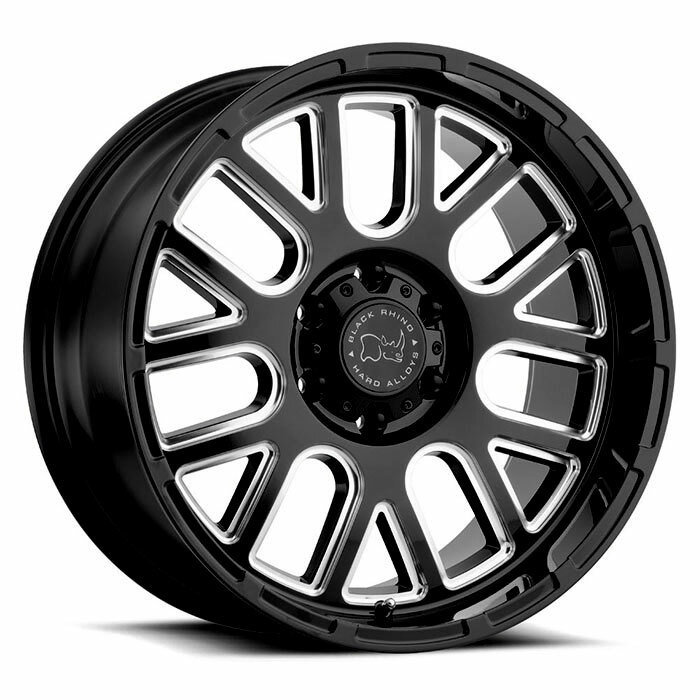 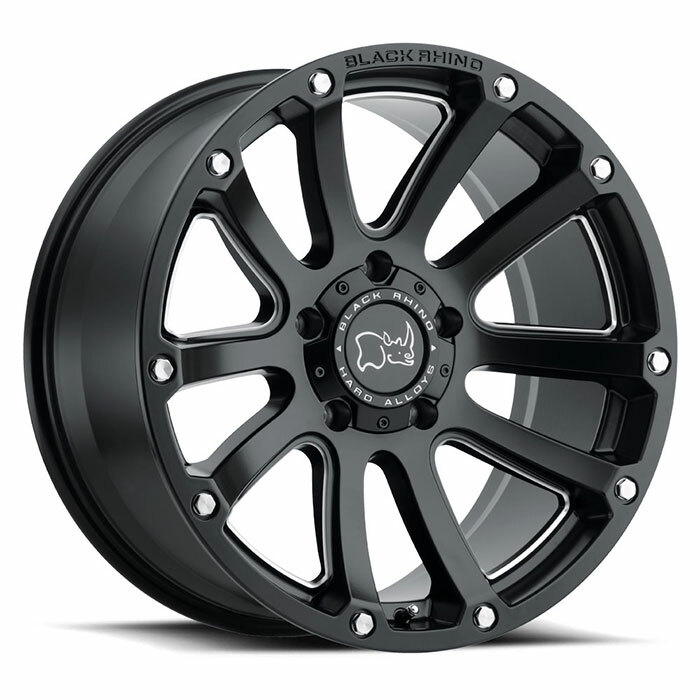 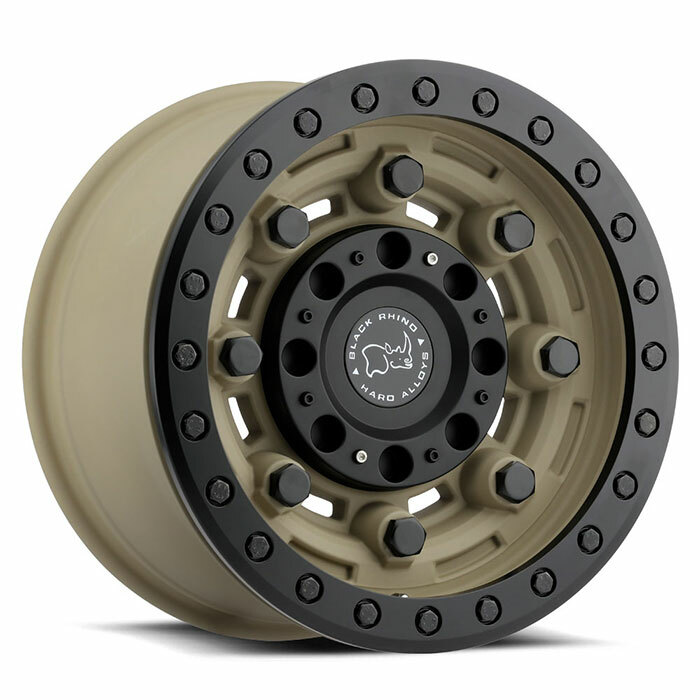 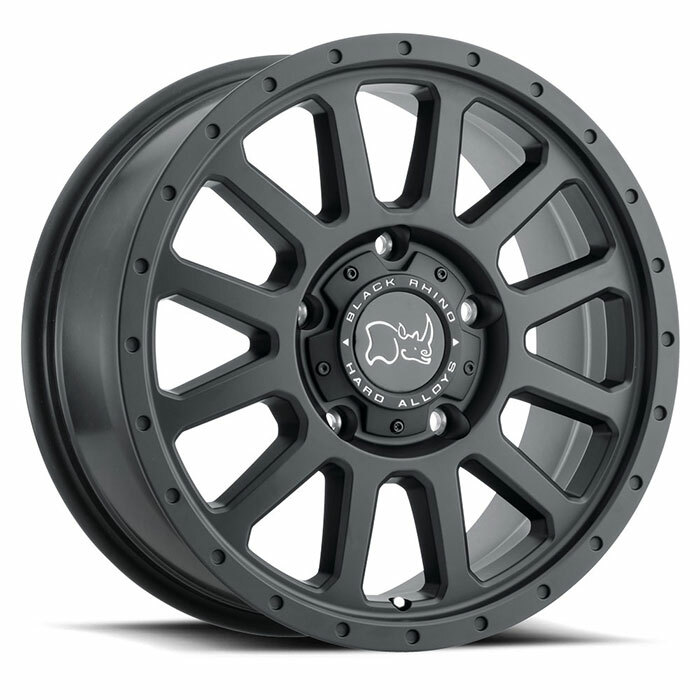 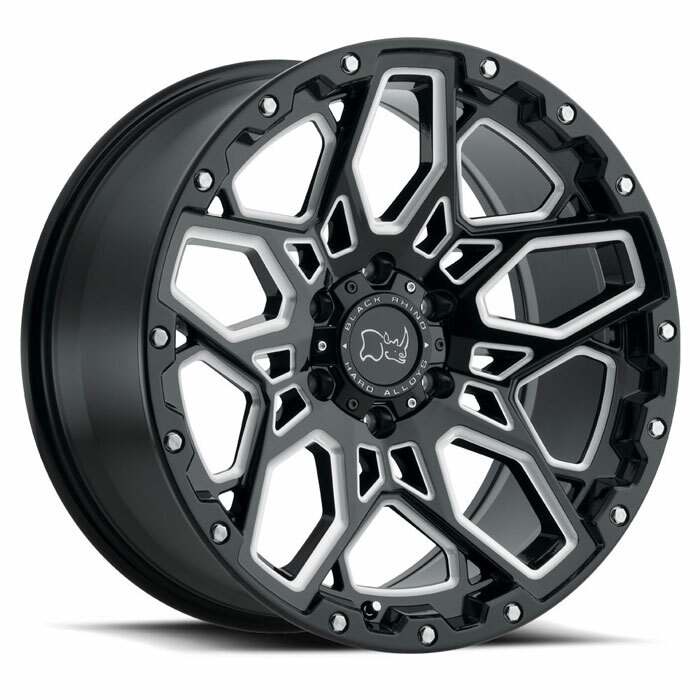 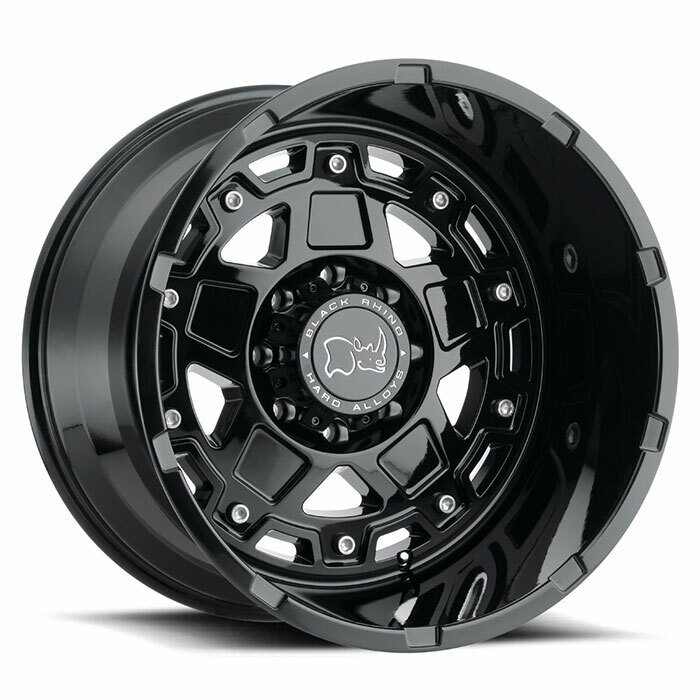 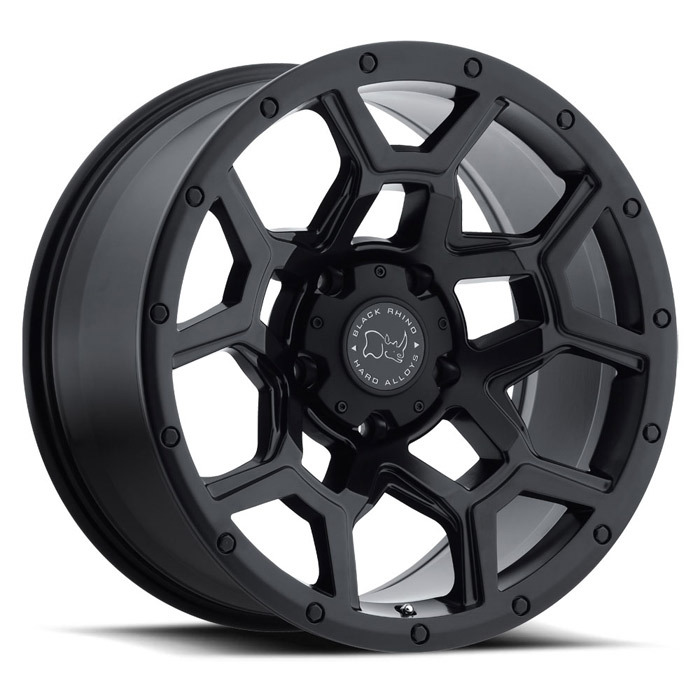 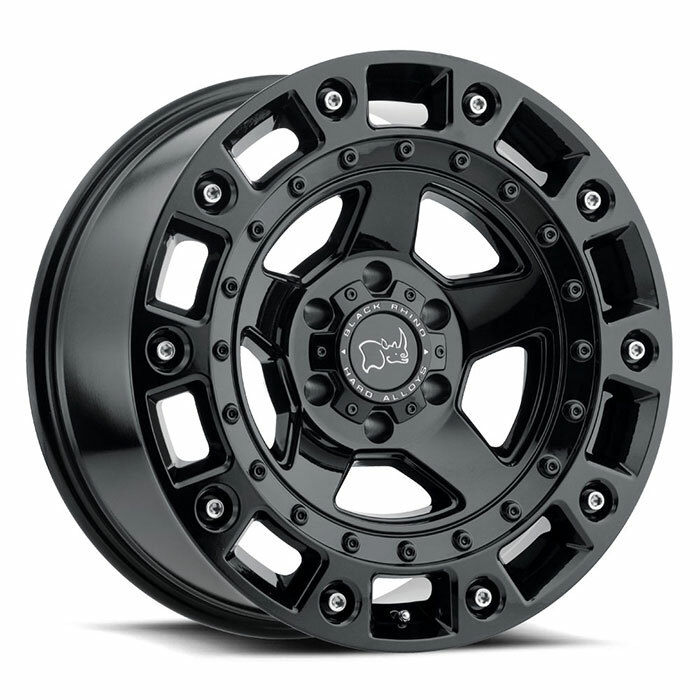 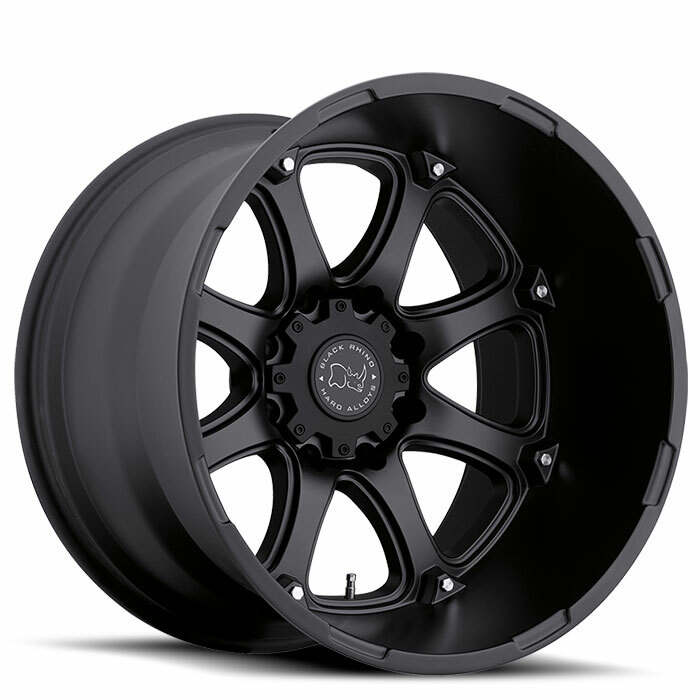 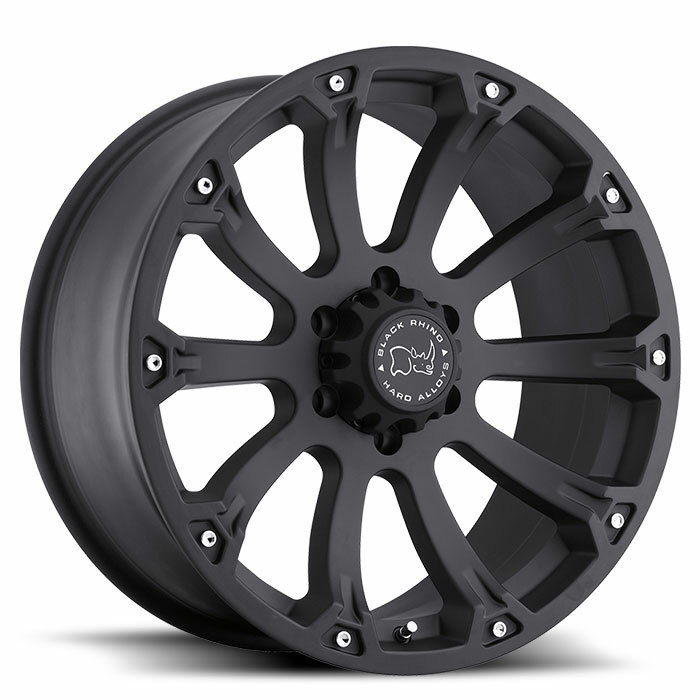 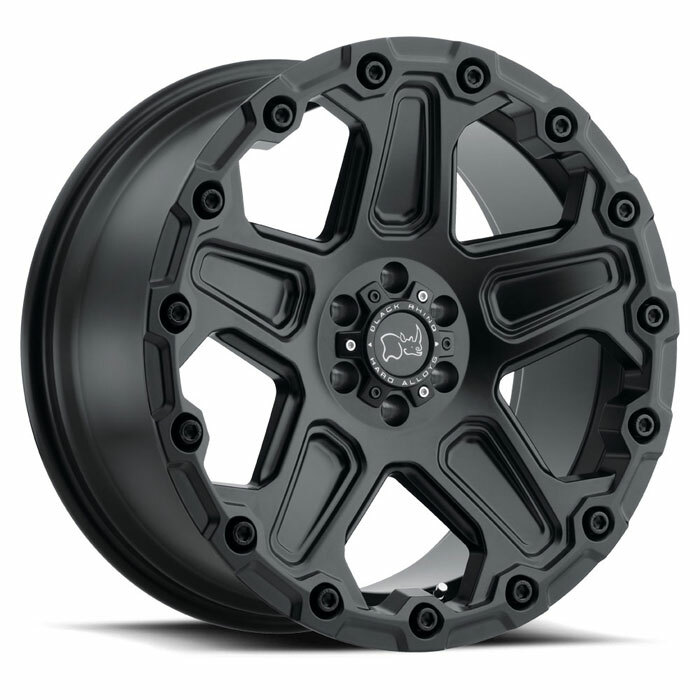 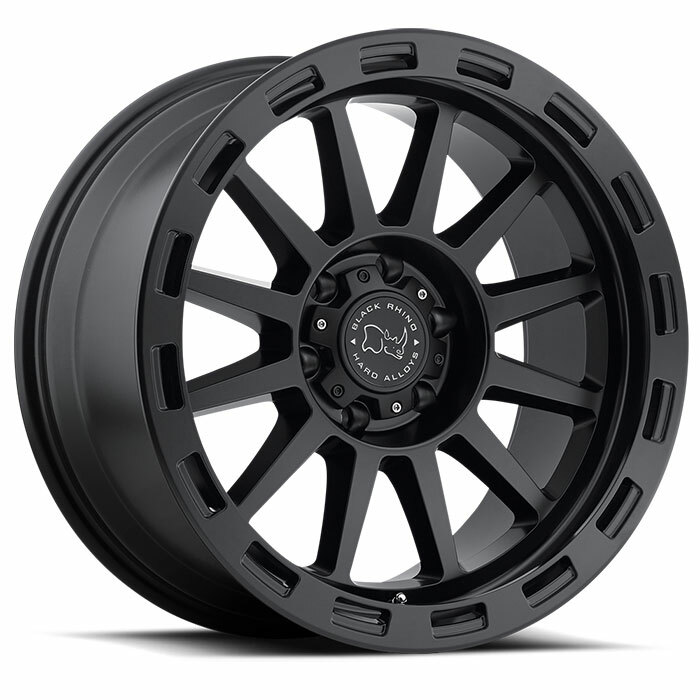 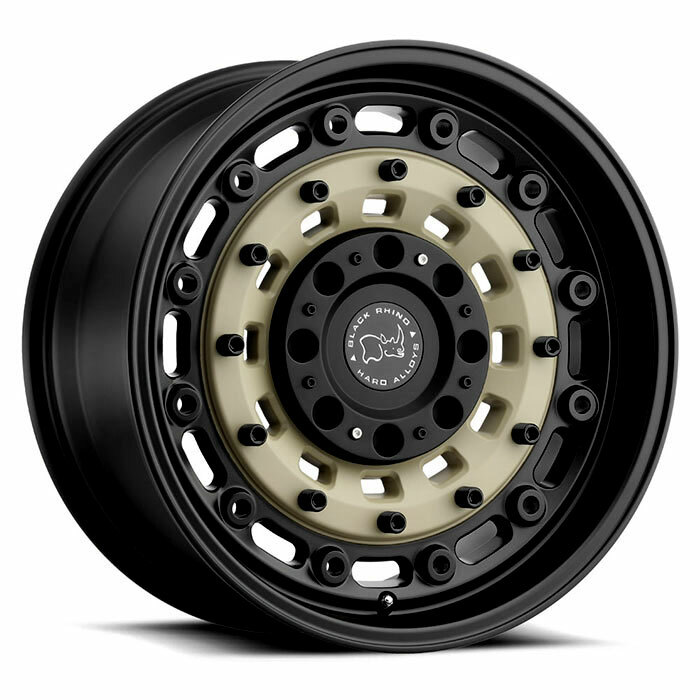 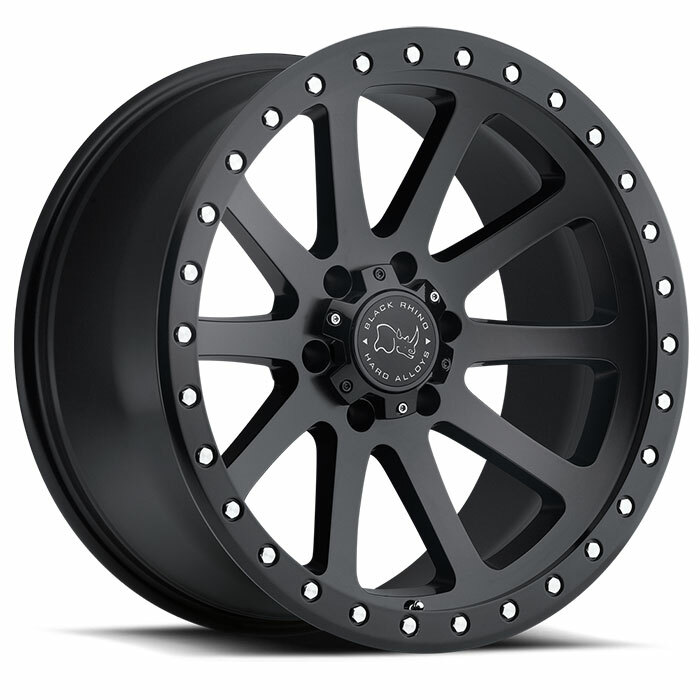 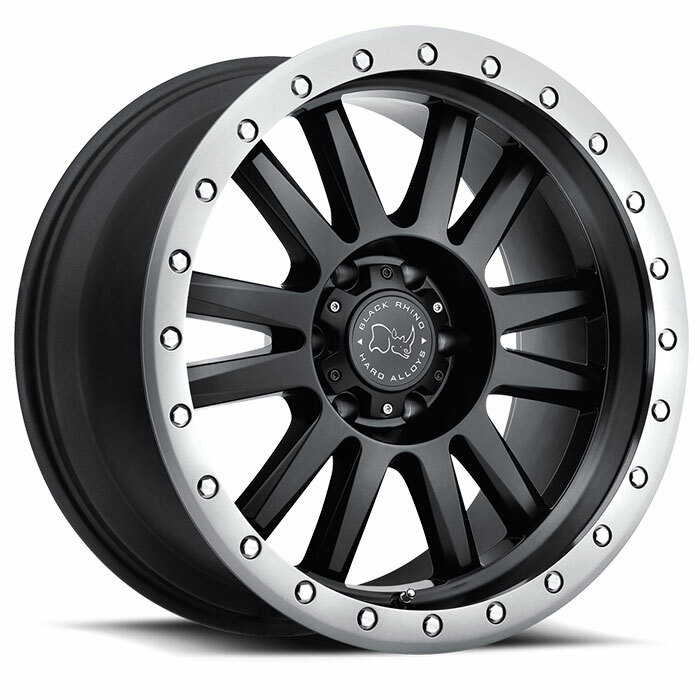 For those stock and lifted trucks owners who believe adventure begins where the road ends, Black Rhino offers a collection of off road wheels featuring the wide range of offsets to enable you to achieve the footprint that’s right for you. 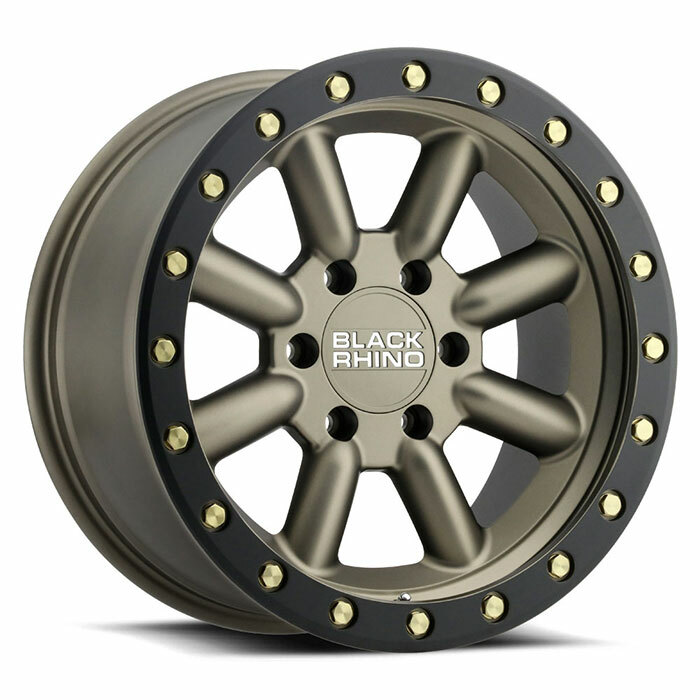 Fitting the right tire and wheel combination is critical, and Black Rhino wants to be sure you choose the right off-road rims. 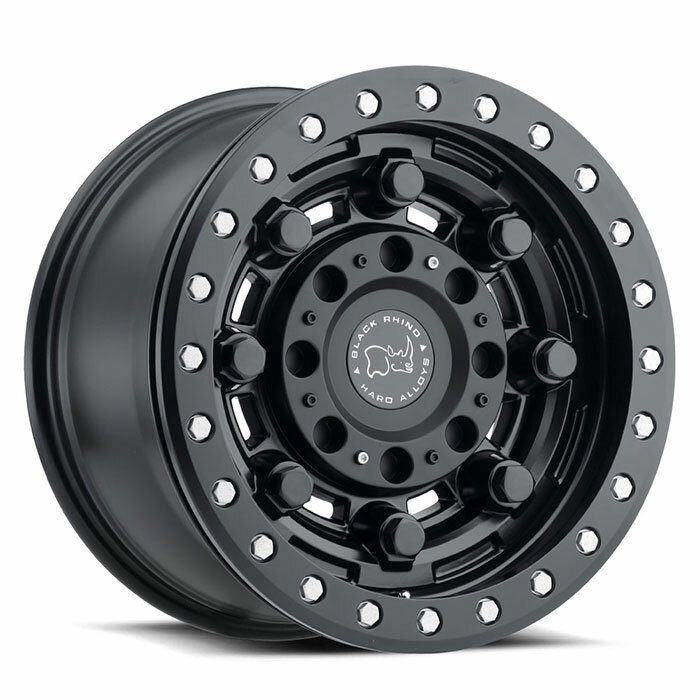 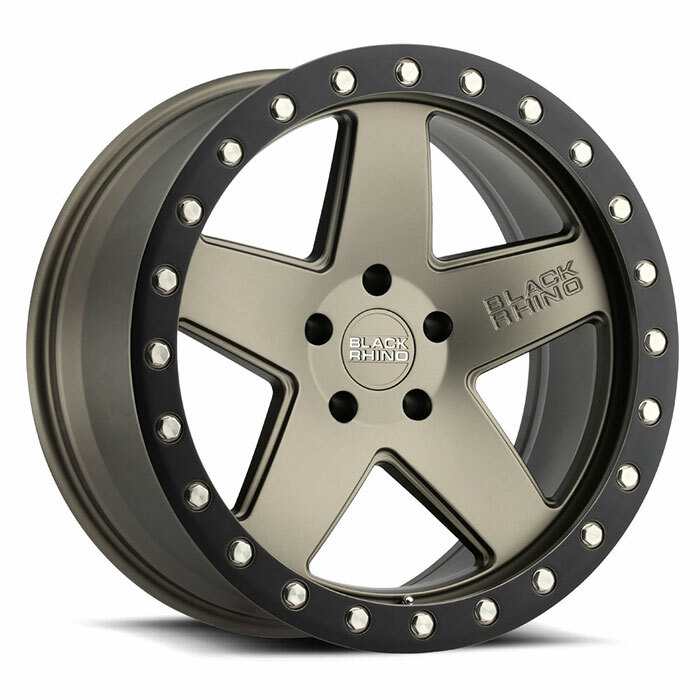 Consider this: New, stock, your truck or SUV came fitted with wheels carefully designed by engineers to allow for adequate clearance between the wheel and tire and components such as tie-rod ends, brake calipers, fender wells, the frame, and other exposed components. 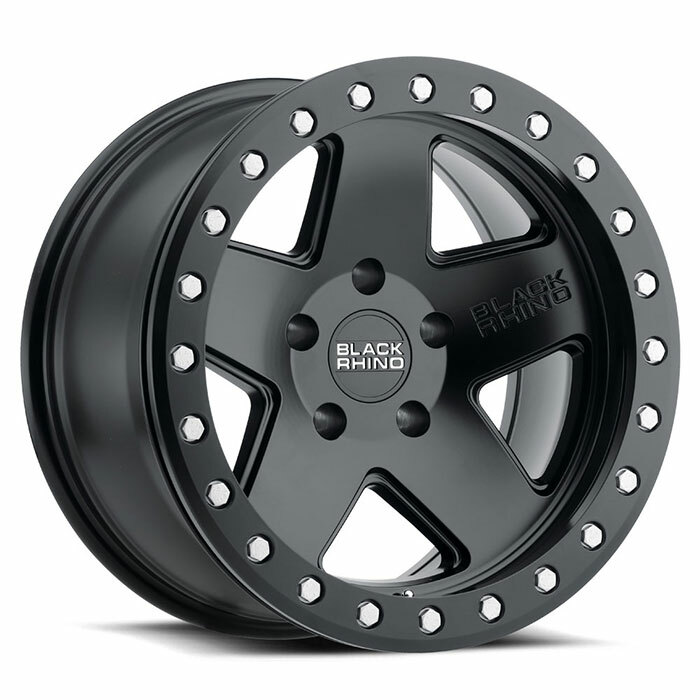 Switching to a different wheel-and-tire combination, you may find that rubbing can occur between these items and the wheel and/or tire during standard steering maneuvers or suspension articulation. 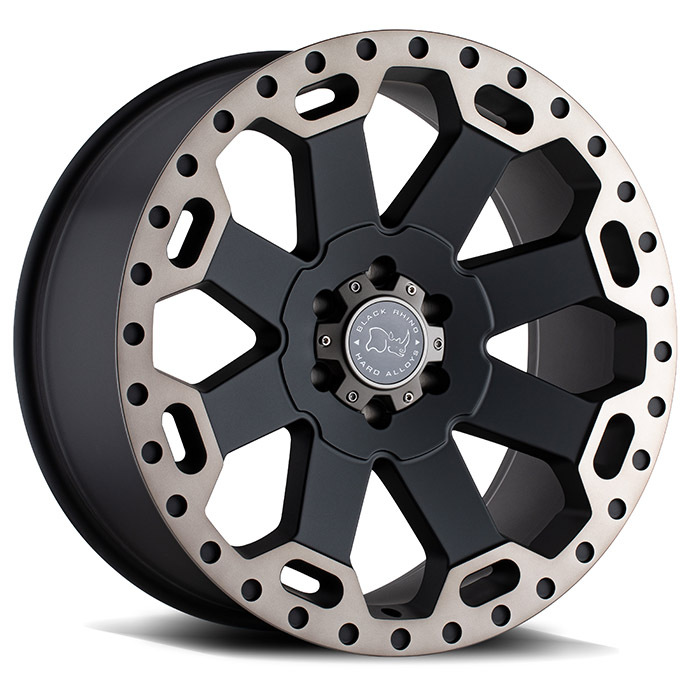 The way to avoid this is to make sure you have wheels with the proper offset and backspacing for the tire you'd like to run on your truck. 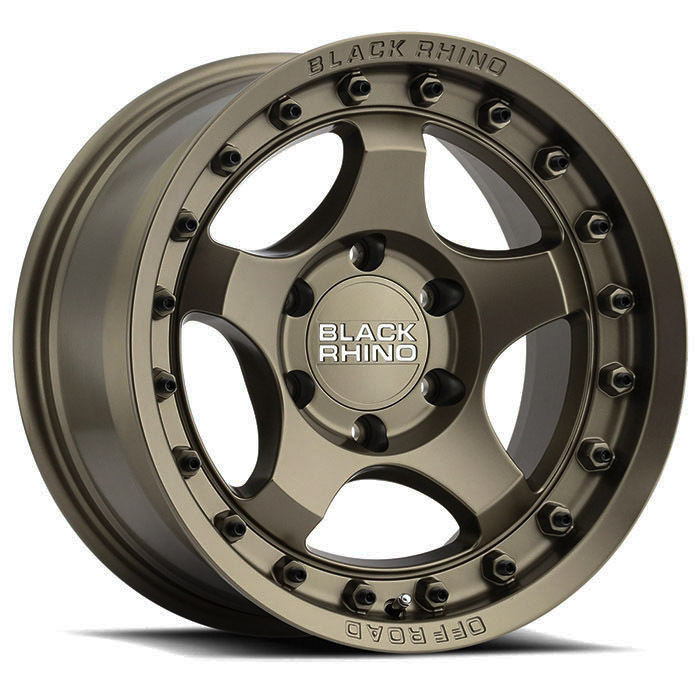 Okay, what does that all mean? 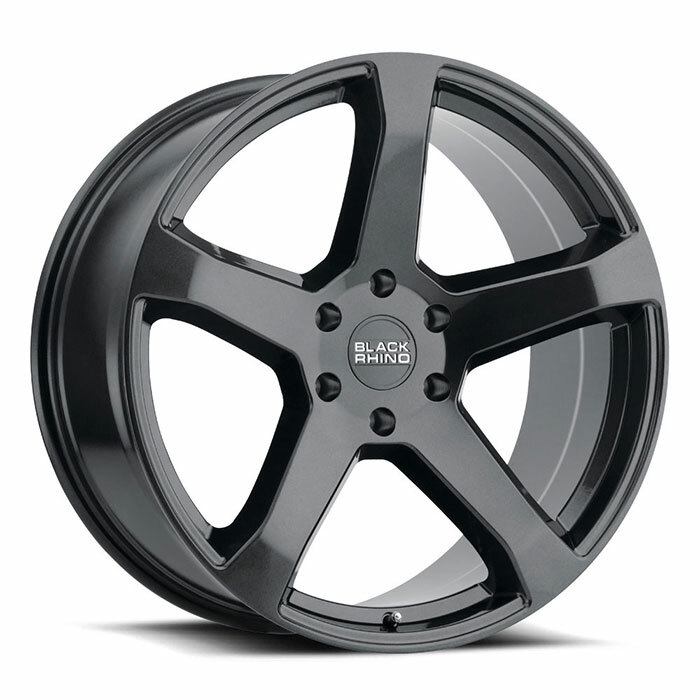 Backspacing is the distance from the inside bolting surface of the rim to the outer edge of the inboard side of the rim. 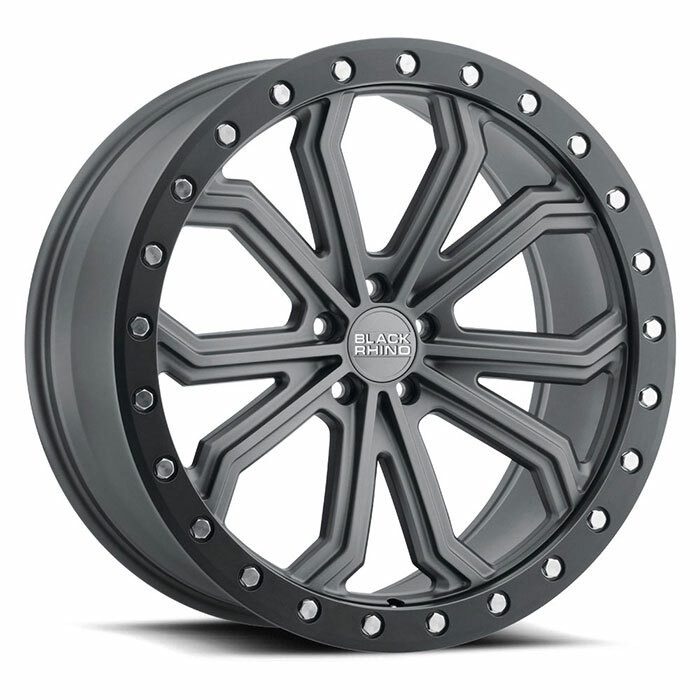 Offset defines the distance from the exact center of the rim to the outer edges of the rim. 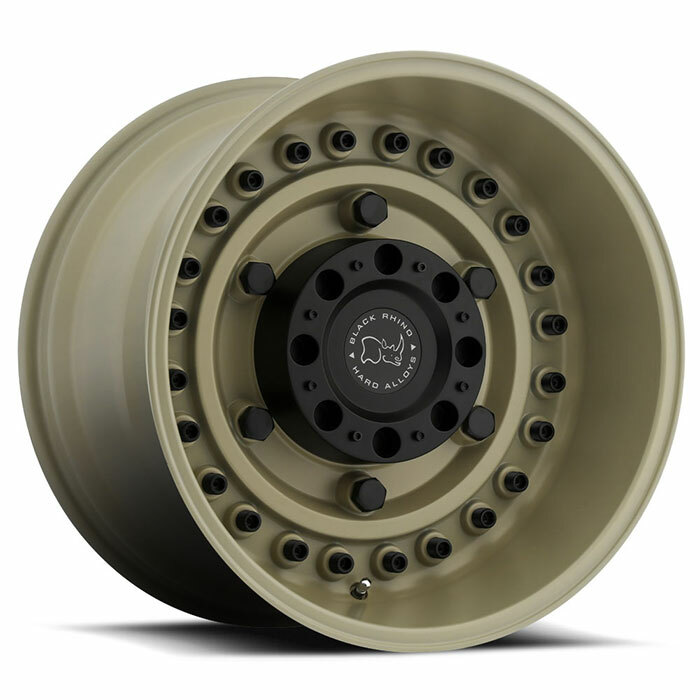 Positive offset means that the center of the wheel is moved towards the vehicle. 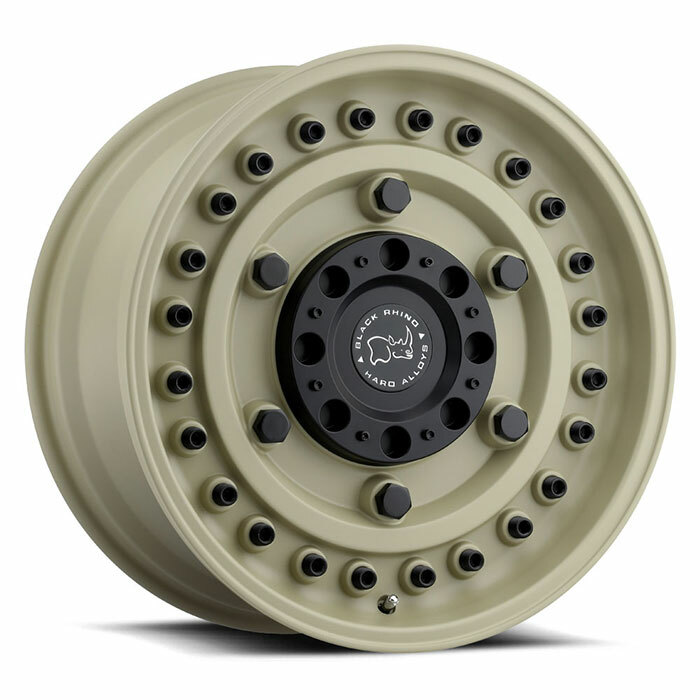 Negative offset, on the other hand, means that the center of the wheel is moved away from the vehicle. 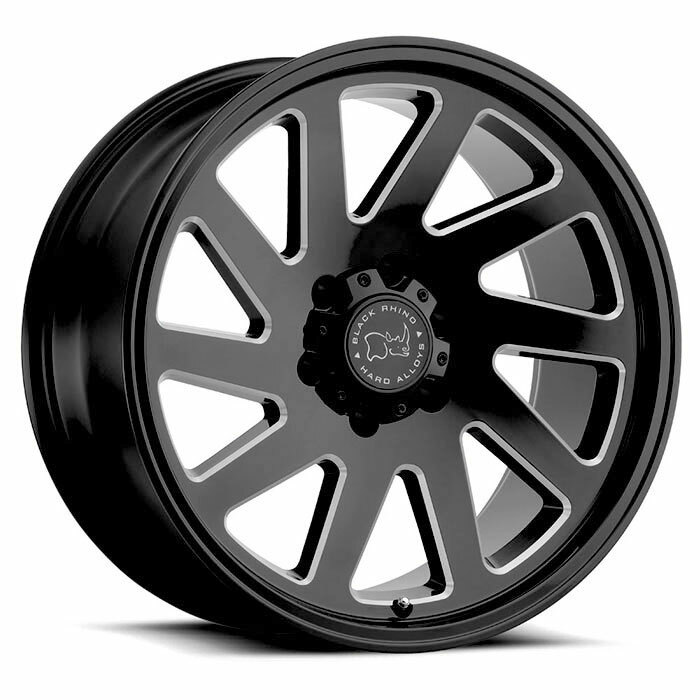 Most stock wheels have a positive offset. 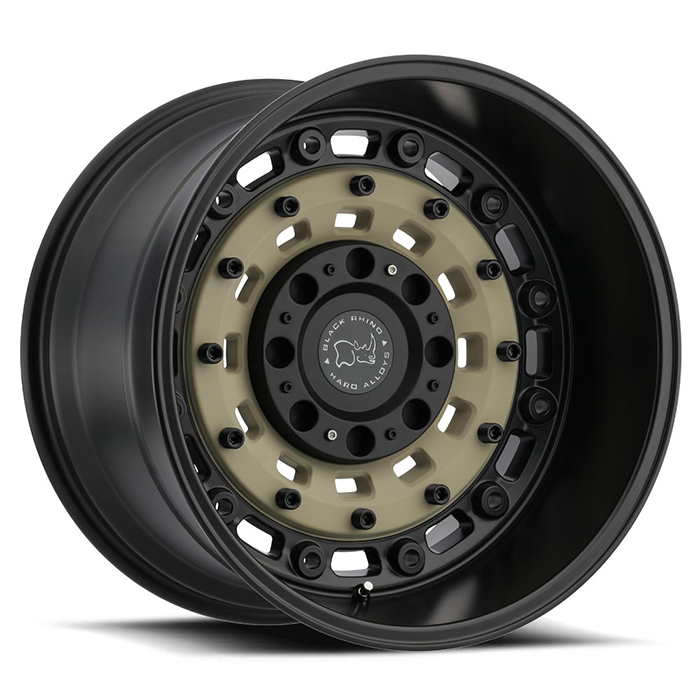 When you go to a larger tire, the wheel backspacing needs to change so that the bigger tire won't contact the aforementioned items. 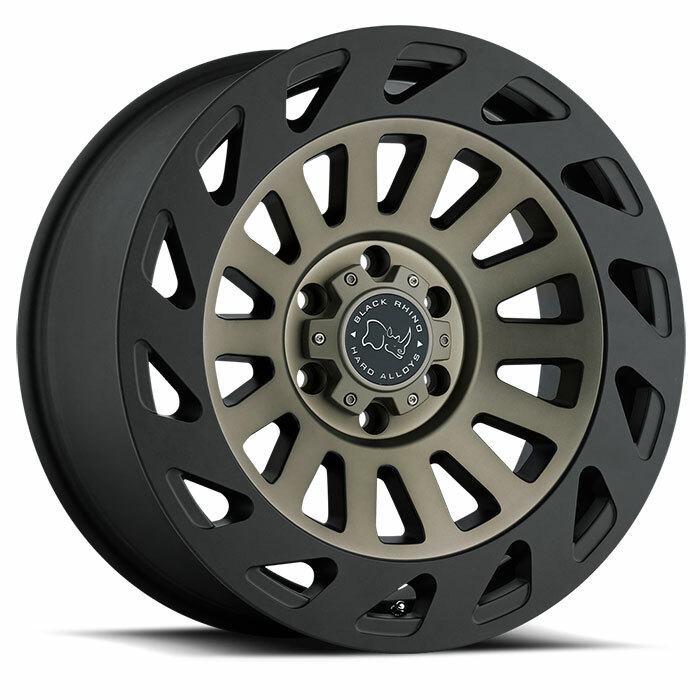 For off roaders, when switching to aftermarket off-road wheels this means that you'll require a wheel with a negative offset. 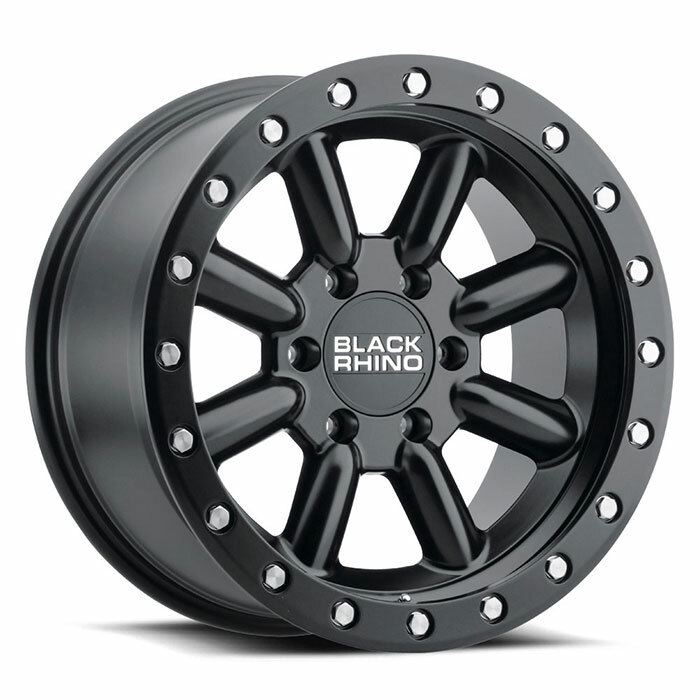 That’s why Black Rhino off-road rims feature an array of negative offsets. 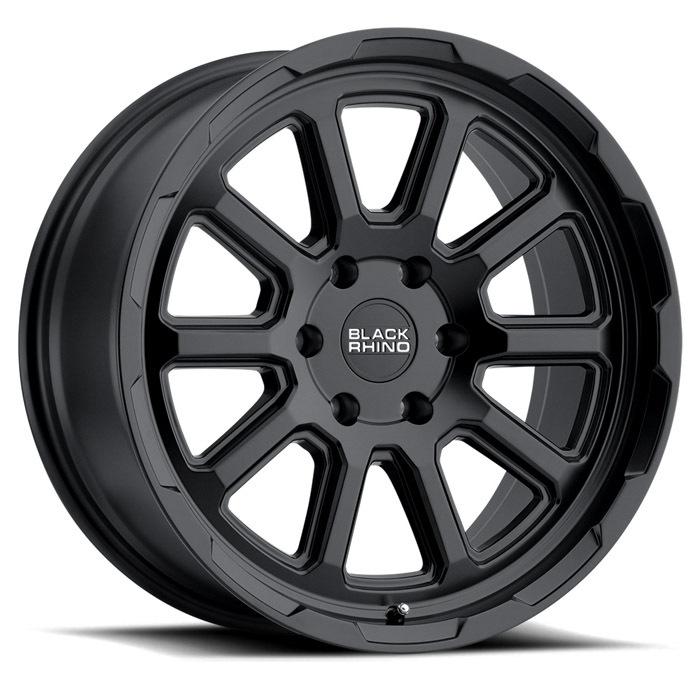 It’s a way to create room for a larger tire. 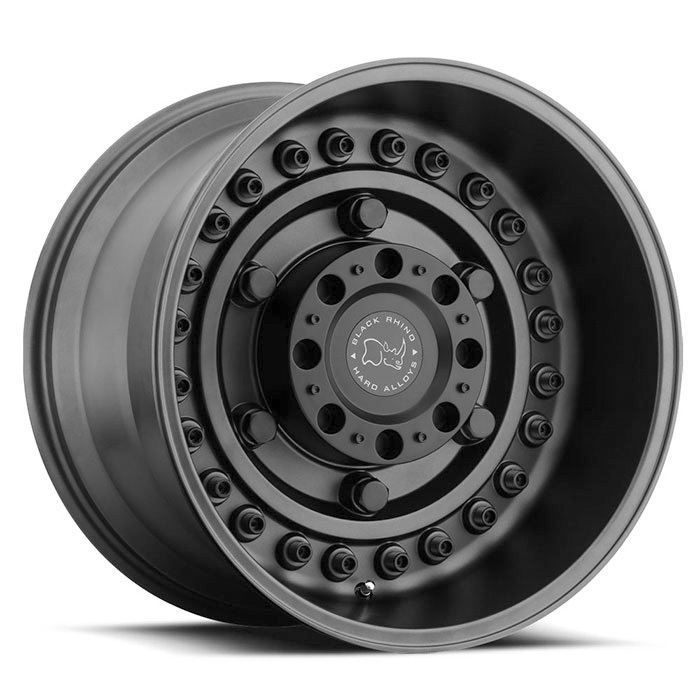 Be aware that with a negative offset turning radius may increase and there will be more leverage on the lugs, bearings, spindles, and axle housing. 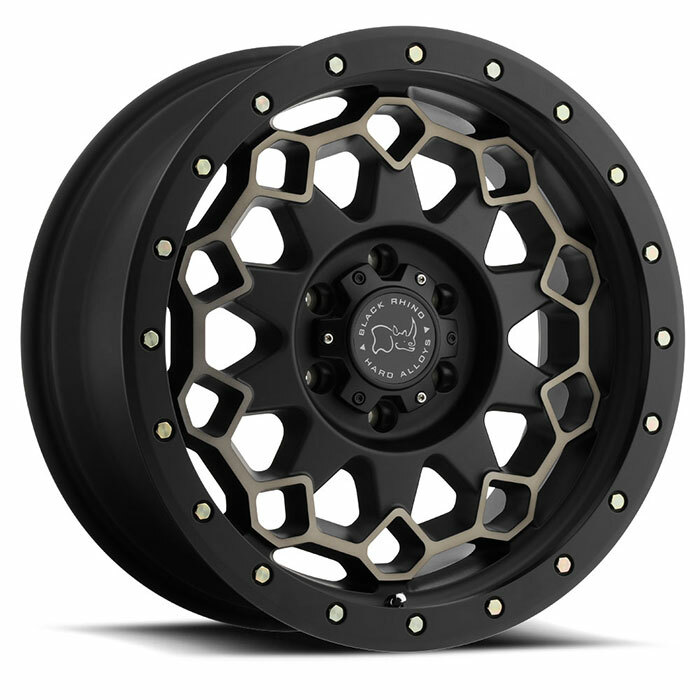 So many lifted trucks add fender flares because a negative offset my cause tires and wheels to protrude beyond the wheel well, but that’s all part of the off road look, right? Black Rhino dealers are experts at issues such as these and can recommend the right tire and wheel combination. 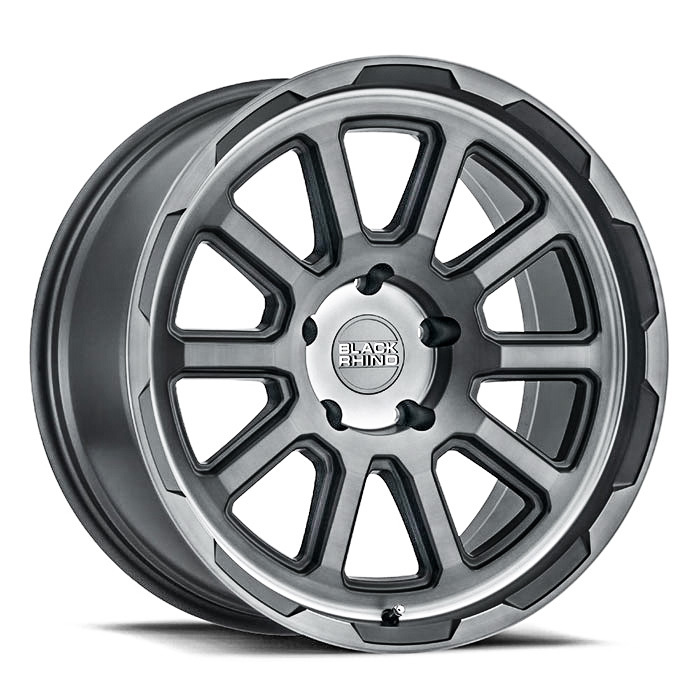 You'll want to use a wheel with the proper backspacing and offset to create the needed clearance without creating too much leverage. The upside of a negative offset, in addition to fitting a larger tire, is that the vehicle will now be slightly wider, thus improving stability.